Without explaining the reasons, take this as your guide for quoting from poetry or music. Never quote from them without permission. Here's an online source you can check. One other important fact is the public domain. If you cite anything, including poetry and music that was copyrighted before 1923, you're safe. Even so, I like to footnote it with "in the public domain." 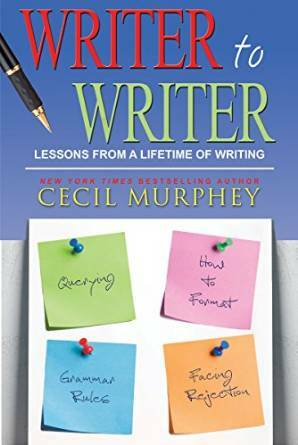 Cecil Murphey's Writer to Writer Conference will take place January 16-18, 2015, at the Hershey Lodge in Hershey, PA, prior to the Munce Group Christian Product Expo (CPE). Faculty includes Cec, Jerry Jenkins, and Shawn and Suzanne Kuhn (SuzyQ). For more information, visit www.writertowriter.com. How much can you quote without getting permission? That's the question that doesn't have a strict answer. This is the area we call "fair use" and it can get extremely complicated. One source says quoting fewer than fifty words from an article or 300 from a book. "You'll need the copyright holder's permission to use any longer quotation from an article or a book." If you're not sure, read the copyright page of the book from which you cite. Unless it's self-published, you will see how much you may quote. Here are general guidelines on using printed or online sources. 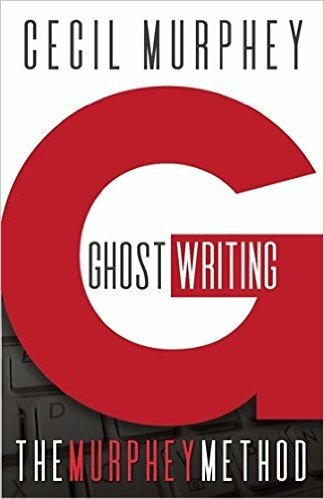 * You write your manuscript after reading other sources and you write your own, original material. * You give credit to the sources you use in writing your manuscript. You don't have to cite sources you read but don't quote or use their material. * You cite the experts you consulted and you agree or disagree with them and you write your own conclusions. * It is your responsibility—not your publisher's—to provide the sources. As noted in part 8, I suggest you photocopy the title page, copyright page, and the page from which you quote, and highlight the section. You can either fax those pages or let your editor know you'll send them by mail. For instance, Twila Belk and I did a book titled I Believe in Healing in which we cited 59 printed and online references. We didn't make copies of the online articles, but provided the links. We did send copies of the three pages for each print reference we cited. How do you cite sources? You probably had this lesson in high school or college, so I hope you don't mind if I clarify for those who fell asleep during those sessions. * The book (or magazine). We put titles of books and magazines in italics but the titles of chapters or articles in quotes. * The city, date, and year of publication. * The page you quote. I suggest you make photocopies of everything you quote so you can send them to your publisher. Your copyeditor may not have those same books or might have to write back and ask you to send it. You send them three pages: the title page, the copyright page, and the page from which you quote. If you highlight the text, you make it easier for the copyeditor. 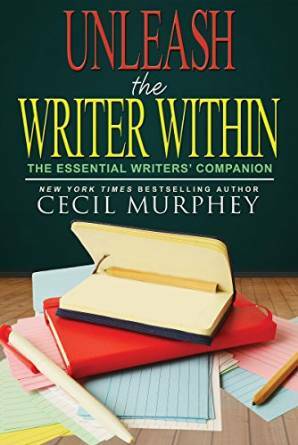 There are slight variations among publishers, but this will work: Unleash the Writer Within by Cecil Murphey (OakTara Publishers, 2011), p 88. As far as I know, publishers haven't taken the steps that colleges and universities have. I asked Dr. Rick Smith of Ashford University what they did. 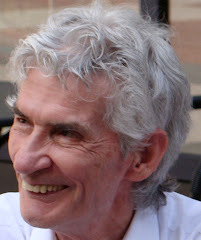 "We have a program called Turnitin, and it takes whatever document you submit to it and runs it against the Internet and most journals, along with every paper that has ever been submitted to its database. "It takes only a few minutes, sometimes a matter of seconds, and it produces a report showing the matching websites and papers in order of the percentages that they match. The websites listed are live links so we can click them and go straight to the page where we find the matching material." I saw this ad online: Grammarly is an automated proofreader and plagiarism checker. It corrects up to 10 times as many mistakes as other word processors. Isn't it sad that our institutions of higher learning have discovered so much plagiarism that they've had to resort to such programs? So what do I document? The answer is: Document everything that's not common knowledge or your own thinking. You can do that in three different ways. You can quote the exact words (giving proper citation); you can paraphrase the information; or you can summarize it. You don't document your independent material—your thoughts, observations, or insight. You can refer to your own experience or have new insight into a topic that you've studied for a long time. In the eighth edition of The Little, Brown Handbook (Instructor's Annotated Edition), the authors cite a quotation from Jessica Mitford's Kind and Usual Punishment. First, they give her quotation (see below) and then show plagiarism by the revisionist changing few words. They follow that by paraphrasing and citing the reference. Original: The character and mentality of the keepers may be of more importance to understanding prisons that the character and mentality of the kept. Paraphrasing: According to one critic of the penal system, the psychology of "the kept" may be less about prisons than the psychology of "the keepers." They follow that by citing the Mitford Book. The Little, Brown Handbook, eighth Edition, by H. Ramsey Fowler, and Jane E. Aaron, (Boston: Little, Brown, 2001) page 689–690. How would you feel if you picked up a book or magazine and read something that you knew you had written but the author didn't credit you? You may unknowingly have contributed to such theft. Whenever you pass on a joke or a poignant essay without giving the author credit, you are a partner in crime. Those words don't write themselves. Doesn't the author deserve recognition? Wouldn't you want your name attached to the piece? Recently someone sent me material for my blog called Men Shattering the Silence. Excellent piece, but he told me he hadn't written it himself. I asked him who wrote it and if I could get permission to print it and if the author wanted his/her name used. (Because of the confidential nature of that blog, we don't publish the names without permission.) He wrote back and told me the author, a female friend, and I had her permission to use it, but she didn't want me to use her name. I footnoted, "Used by Permission." Because I don't want to be a thief and I want authors to receive credit, I don't participate in such forwarding. To quote the words of Jesus (out of context), "Go and do thou likewise" (Luke 10:37 KJV). If you quote a well-known saying, be sure to quote it accurately, and cite the author. One of my favorite quotations goes, "He who can, does. He who cannot, teaches." I've heard it quoted as "those who can. . ." and also given people such as Menken credit. One source quoted the film Life of Brian. Both were incorrect. The author was George Bernard Shaw and it's from Man and Superman, written in 1903. But for everyone, surely, what we have gone through in this period—I am addressing myself to the School—surely from this period of ten months, this is the lesson: Never give in. Never give in. Never, never, never, never— in nothing, great or small, large or petty—never give in, except to convictions of honor and good sense. Never yield to force. Never yield to the apparently overwhelming might the enemy. Here are two trustworthy sources.